Cloud hosting is one of the best things to happen to companies in the Greater Los Angeles area since the Internet came along. Having the ability to build, deploy and manage business applications within remote datacenters is a huge win for productivity. But how do you know which hosting solution is ideal for your unique needs and budget? And once you find a great hosting solution, how do you go about implementing and managing it? Our cloud hosting experts at TVG have worked with the best solutions in the industry since their inception years ago. With extensive knowledge and certifications, we know what it takes to properly select, implement and manage these Platform-as-a-Service (PaaS) and Infrastructure-as-a-Service (IaaS) solutions in order to help companies squeeze more capabilities out of each dollar they spend. Why do companies use cloud hosting? What hosting services does TVG provide? Cloud hosting is the practice of utilizing various cloud computing solutions to create a single system out of any number of machines. By comparison, traditional shared or dedicated hosting options utilize a single virtual server, while Cloud Hosting utilizes a multitude of connected servers. What hosting services & solutions does TVG provide? Our IT and cloud computing professionals assist companies in properly vetting, selecting, implementing and managing leading cloud hosting solutions based upon their IT and operational needs, industry requirements and growth goals. In short, we help L.A. area companies adopt, optimize and continually leverage the best hosting solutions on the market today. 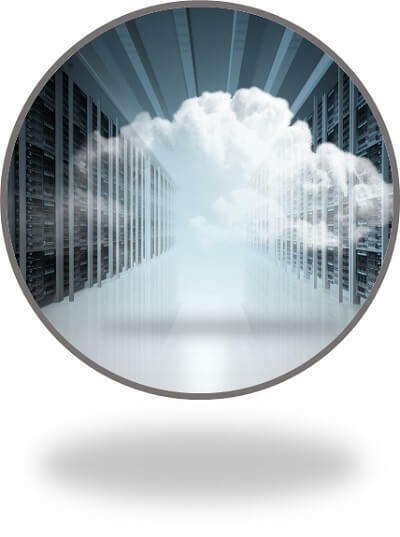 Our team at TVG has extensive experience and certifications in the industries best cloud hosting solutions.